Suresh Raina, born on November 27, 1986, today turns 32. The left-hand batsman has played 226 ODIs, 78 T20Is and 18 Test matches for India with a combined return of 7,988 runs and seven centuries and 48 half-centuries. In addition to this, he is the IPL’s leading run-getter and has won three IPL trophies with Chennai Super Kings. On his 32nd birthday, here are 10 interesting facts about Raina. Suresh Raina’s father Trilok Chand hails from Rainawari in the State of Jammu and Kashmir. His mother, is from Dharamsala, Himachal Pradesh. However, his family settled in Ghaziabad, Uttar Pradesh. Raina is one of five siblings as he has three elder brothers named, Dinesh, Mukesh and Naresh. He also has a sister named Renu. As a teenager, Raina had to leave Ghaziabad and move to Lucknow, the capital of Uttar Pradesh, to join one of the state’s sports hostels. From arriving there in 1999, Raina worked his way up the age groups. According to the rules, he was allowed to keep his room in the hostel for up to seven years. It was only in 2006, when he was already an India player, that Raina vacated it. Raina was 16 when he was first selected to represent India Under-19s on a tour to England. 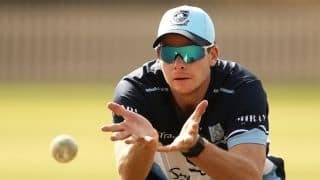 In his first match, he scored 72 in an unofficial four-day ‘Test’ for a team led by Manvinder Bisla and featuring Ambati Rayudu and Irfan Pathan, his future India teammates. Tim Bresnan was a prominent face in that England team. Called into the senior Indian team at the age of 18 after his success in domestic cricket and for representative Indian sides, Raina’s international debut was not a day to remember. Against Sri Lanka at Dambulla on July 30, 2005, the left-hand batsman was dismissed very first ball by none other than Muttiah Muralitharan. Bagging a duck on ODI debut put him in the company of Sachin Tendulkar and Shikhar Dhawan. Raina has truly been the king of the Indian Premier League (IPL). 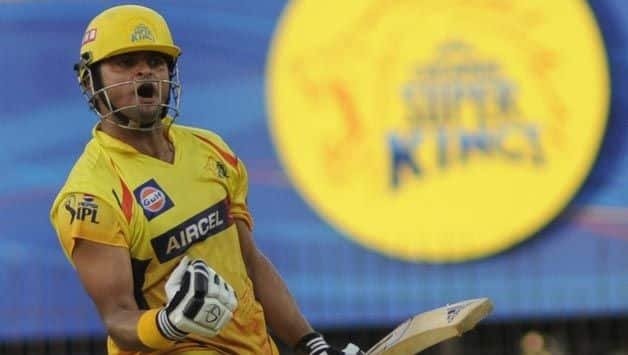 Contracted with the Chennai Super Kings since the inception of the league – barring two seasons with Gujarat Lions when the franchis was suspended – Raina has been a T20 behemoth. He is CSK’s all-time leading run-scorer with 4985 at 35.10, with two hundreds and 34 fifties. In addition to these numbers, Raina has 96 catches and 36 wickets for CSK. His run count of 4985 is also the most for any batsman in the IPL. Raina’s success for CSK and India has put him at the top of the list of the country’s leading run-getters in T20 cricket. With 7929 runs in 280 career T20 innings, Raina is the highest scorer for India ahead of Virat Kohli who has 7809 from 236 innings. He and Kohli have four T20 hundreds each. Raina is the youngest man to captain India in T20 internationals. He captained India for the first time when he was 23. He also happens to be the second oldest to lead India in ODIs, behind Tendulkar. When Raina hit a century on Test debut against Sri Lanka in 2010, he became the first Indian to record a century in each format of international cricket. Raina had hit his first ODI ton against Hong Kong in the Asia Cup 2008. His, and India’s, first T20I century came against South Africa in the 2010 ICC World T20 in the West Indies. Suresh Raina reached three figures on Test debut to become the first Indian with hundreds across formats. Raina has said in a few interviews that he likes cooking. 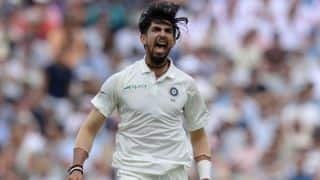 In a chat with ESPNcricinfo, he revealed that during his first tour as a captain of the Indian team, he had cooked for the whole team along with Ashok Dinda.